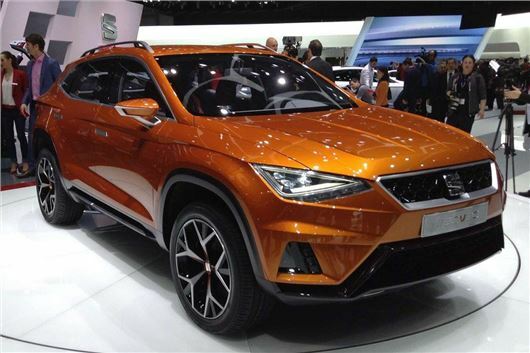 SEAT has premiered a concept crossover vehicle called the 20V20 at a Geneva Motor Show preview. The model may be a concept, but it’s more or less certain to go on sale in 2016, with a full range of Volkswagen Group engines including TSI petrols and TDI diesels. The Qashqai-sized 20V20 (which means Vision 2020) features various typical concept car style features including massive 20-inch wheels, but looks otherwise very much like a meatier, jacked up Leon. Which is more or less what it is. A production model will likely get a slightly toned down appearance. It will use the Volkswagen Group MQB platform and should be priced from around £18,000. It’ll no doubt get the full array of Volkswagen Group safety technologies, including automated braking and lane assistance.